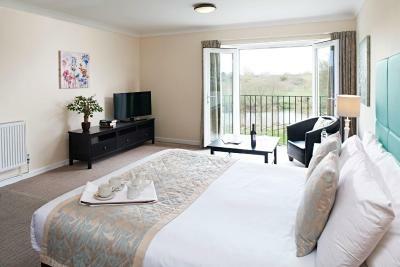 Lock in a great price for The Bridge House Hotel – rated 8.5 by recent guests! Nice clean comfortable room. Reasonably priced food & drink. Nice bar and restaurant. 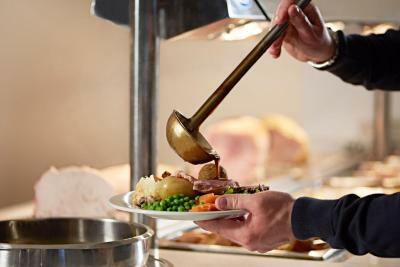 Good menu plus cavery as well every night. Could not fault food. Based on our needs of Bournemouth airport the location was good. The staff in the restaurant were very nice but the food was only average for the price. 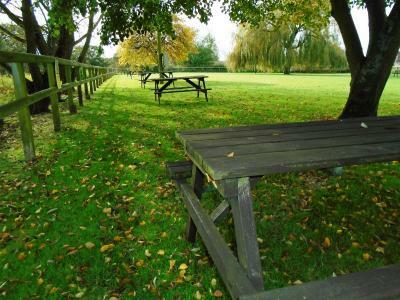 Staff very friendl|, very pleasant setting with river. Location good for airport and getting into nearby towns, M27 for ferry terminals @Poole or Portsmouth. Hotel was in a beautiful location on the river, the staff were very friendly, the room was comfortable and the breakfast was good. We left very early so did not have breakfast, but if the dinner was anything to go by, I would say that the breakfast would be first class. Welcoming helpful staff. Really good food. (Breakfast and Dinner) Modern clean hotel. 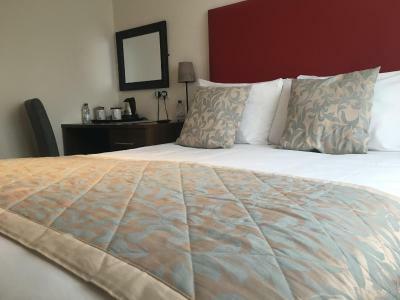 The Bridge House Hotel This rating is a reflection of how the property compares to the industry standard when it comes to price, facilities and services available. It's based on a self-evaluation by the property. Use this rating to help choose your stay! 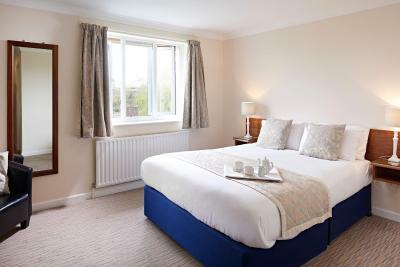 One of our top picks in Ferndown.Beautifully located on the banks of the River Stor, The Bridge House Hotel offers free WiFi and free parking. 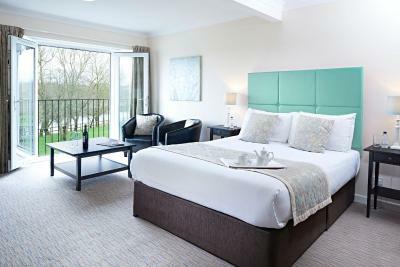 Located just 2 miles from Bournemouth International Airport, it offers up to 14 days free parking for guests. 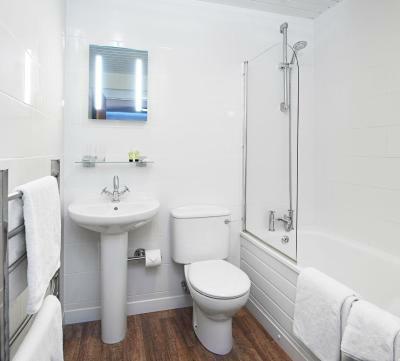 The rooms with attached bathroom are equipped with a flat-screen Freeview TV, ironing supplies, and tea and coffee making facilities. Many feature stunning river views. 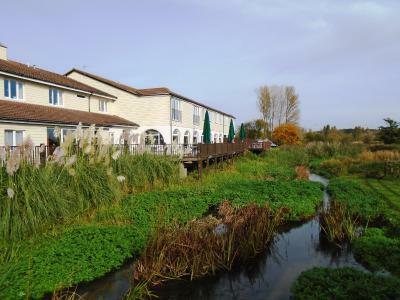 Overlooking the River Stor, guests at The Bridge House Hotel can dine at the Riverside Restaurant. 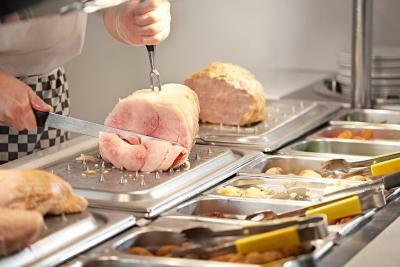 Dishes are prepared using fresh locally sourced produce. During the warmer months, meals can be enjoyed on the elegant terrace or across the bridge, on the hotel's own island. A wide range of drinks are available from the bar. When would you like to stay at The Bridge House Hotel? 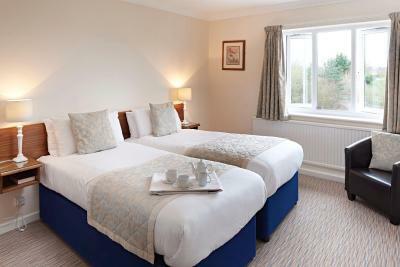 The Classic Rooms have a range of modern conveniences, including a flat-screen TV with Freeview cable, free Wi-Fi, ironing facilities and tea/coffee-making facilities. 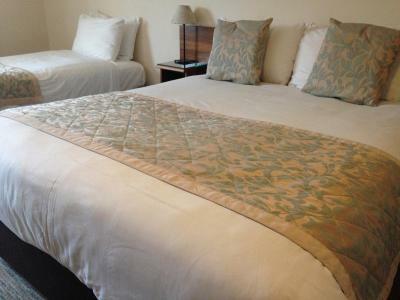 The rooms are also fitted with Hypnos beds. 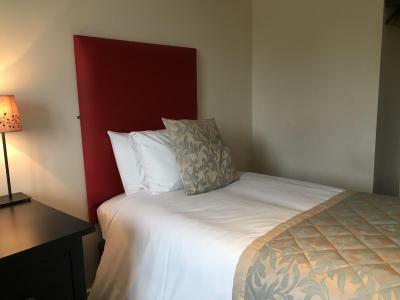 Classic Rooms are equipped with a range of modern conveniences, including a flat-screen TV with Freeview, free WiFi, ironing facilities and tea/coffee making facilities. 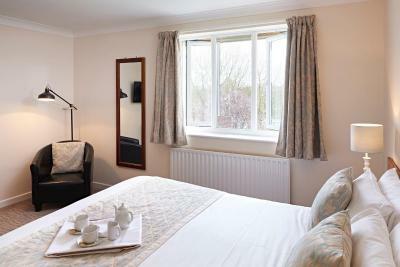 With scenic river views, these classic Rooms are equipped with a range of modern conveniences, including a flat-screen TV with Freeview, free WiFi, ironing facilities and tea/coffee making facilities. 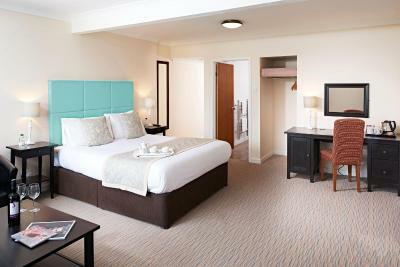 This small room has a flat-screen TV with Freeview, free WiFi, ironing facilities and tea/coffee making facilities. This family room has a flat-screen TV and electric kettle. House Rules The Bridge House Hotel takes special requests – add in the next step! The Bridge House Hotel accepts these cards and reserves the right to temporarily hold an amount prior to arrival. No interconnecting room available for our stay (kids in 2nd room). Rooms very hot and window opened onto a very busy road too busy to leave open all night. Staff, location, good food, great bar. 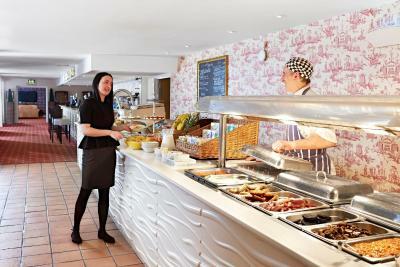 Staff were very pleasant, food was good and location was great. Lighting in the bedroom was the only drawback but we will certainly come again. Lovely comfortable room. Polite staff. Restaurant excellent. We had to wait at the buffet for a good 5 mins as they ran out of bacon, mushrooms and eggs! Heating in Room 109 was not sufficient and given the size of the room there should be two radiators especially it was a large disabled friendly room. There was also a constant odour of cigarette within the room, not sure if the odour was coming out from people smoking outside or from where. it was bit suffocating for my family. Carpets looked and felt worn out. Bathroom in rooms we stayed Room 109 and 105 would benefit from silicon refills on the sides. Decent place and good parking facilities, place felt very safe. Staff were friendly. The room was OK but no wardrobe, chest of drawers, nor adequate space to put toiletries in the bathroom. I had to put mine on the floor! It was probably adequate for one night but we were staying for three and therefore had more clothes with us. I should say that there were some other issues with the bathroom but a word with a member of Staff saw them resolved. The super Staff. The food. The Library room. The location. No insect nets on French doors in room right next to river. Helpful, polite, efficient staff. 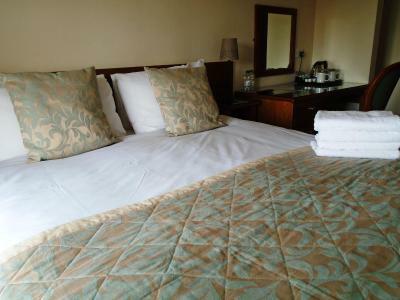 Very comfortable bed and nice spacious room. The breakfast was a little lackluster and although we were told it started at 8am, when we came down no hot food was out and the toaster spent 20 minutes warming up which meant we could only have cereal as we were in a rush. The river views were really beautiful and it was useful having a restaurant and free parking on site. The rooms were basic but the bed was comfortable. I couldn’t turn the knob for the shower on!! After I got back in from my night out (at 3) and needed a shower before bed! Then didn’t realise how close to the road hotel is, was woken up an hour later by traffic!!! And that’s really the only reason I wouldn’t stay at the hotel again. Lovely staff who were pleasant and helpful. Clean room. Busy road outside made it difficult when exiting hotel but that’s just being picky I guess. 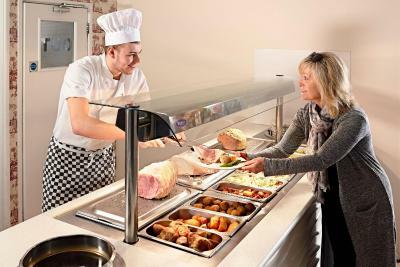 Staff excellent and good value for money. Also very clean.